This article was written by James Ogden a local resident interested in the Oakwood heritage. 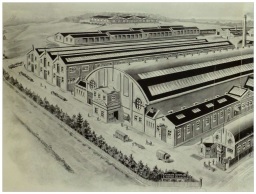 When reading about Blackburn Olympia Works it is sometimes mentioned that the site of this old aircraft factory had previously been a skating rink. 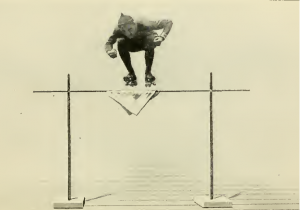 I had often wondered what form the skating took and why the venture was ultimately short lived. To understand the reason why the Olympia Skating Rink was constructed some context is required. Roller skating had several brief periods of popularity in the late 1800’s. In 1876 it was reported that a new outdoor asphalt rink (some 1500 square feet in size!) had opened in the Leeds Horticultural Gardens as a previous indoor facility had proved to be too small and too hot in summer. There was a grand opening ceremony of this outdoor rink with a “large and fashionable attendance” and music from the band of the 19th Hussars under bandmaster George Ramplin. By the early 1900’s interest in roller skating had waned in England however in 1907 an American by the name of Crawford, the owner of a roller rink in Coney Island New York, arrived in Liverpool and immediately opened a rink there with the hope of spearheading a revival. 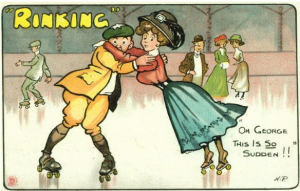 The Liverpool rink was a success and by 1909 there had been an explosion of popularity in the roller skating craze (or ‘rinking’ as it had come to be known) with around 500 skating rinks opening all over the country. Against the backdrop of the 1909 ‘rinking’ craze a number of facilities were constructed in Leeds, one of these being the Olympia Skating Rink on Roundhay Road. September 18th 1909 was the opening night and an advert billed it as “The Finest Rink in England”. Olympia opened at 7:30 PM that night and admission for it’s Grand Opening Night was 6d with Ladies being admitted for free. In October of 1909 adverts billed the Olympia as an “Extraordinary success!” and reiterated that it was the “Finest Rink in England!” with a full miltary band under the directorship of George Ramplin, former bandmaster of the 19th Hussars (the same man who had lead the band at the opening of the earlier Leeds outdoor rink). Olympia was said to have the “largest maple surface in Leeds” and a “luxurious Cafe serving the finest refreshments at popular prices” (afternoon tea 6d). Three sessions of skating took place daily (10:30-12:30, 2:30-5:30 and 7:30-10:30). Admission for the morning session was free, the afternoon session was 6d for men and free for ladies and the evening was 6d per person. Before very long the afternoon session was charged at 3d for women and children with the money being returned to them in the form of refreshments. The Olympia was conveniently situated on the tram route from Leeds to Roundhay with cars stopping right outside the entrance which appears to have boosted it’s popularity and helped to draw large crowds despite it being around three miles out of the centre of Leeds. For a week at the end of October 1909 Charles L. Franks a famous professional skater from Chicago was in attendance with his daughter Lilian (then aged 9) who was billed as the “champion child skater of the world” and every afternoon and evening they gave a 15 minute exhibition of “fancy and graceful skating” at no extra cost. On the 12th of November 1909 a charitable event was held for the benefit of the Lifeboat Fund, this event started at 10:30 PM and had an attendance of 400-500 ladies and gentleman. The Lord Mayor and Lady Mayoress of Leeds were in attendance and handed out prizes. Contemporary reports reveal that the event was very popular with reports of ladies in colourful gowns and gentlemen in evening dress skating “until the small hours!” A week later on Friday the 19th of November 1909 the Olympia held a ‘Continental Carnival’ from 7:30 to 11:30 PM, the event called for ‘fancy or evening dress’ with 18 prizes on offer for the “best, most original and most comic costumes”, again the event seems to have been popular and well attended. 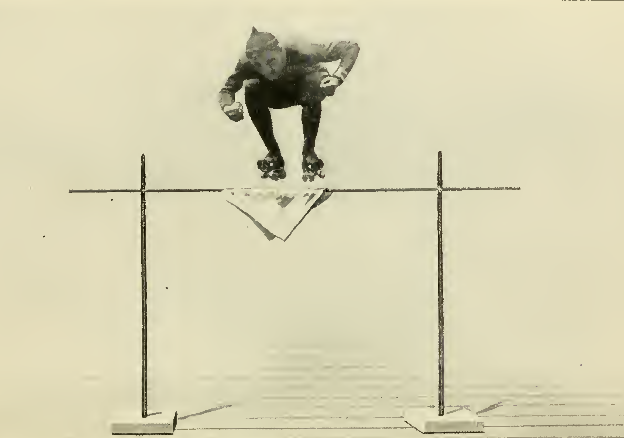 1909 had been a very successful year for the Olympia but 1910 brought some challenges. In early 1910 the Olympia Rink applied for a license for music and dancing which lead to some objections from the council that the water supply might not be sufficient in case of fire which took some time to resolve but the council were eventually satisfied. In June 1910 Leeds Olympia Ltd suffered another setback when a prosecution was brought under the Gaming Act of 1802 for keeping a lottery. Richard Lyons (acting manager), Charles Bettison and William Turton were summoned over the so-called ‘Lucky Spot’ nights that had been run at the Olympia. On the edge of the rink numbers from 1 to 286 were arranged and on a signal the skaters would race to stand in front of a number. Numbers were then drawn from a bag and small prizes given such as books of tickets and skate-bags. At 9 PM on the night in question a whistle was blown and the band played a few bars of music when they stopped the skaters rushed to stand by the numbers. Mr Turton drew the numbers and handed prizes to six young ladies. It was alleged that Mr Lyons had taken part in the event by calling out “look out for the lucky spot!” Mr Lyons was also said to have escorted prize winners to the centre of the rink. Two police officers saw the events unfold and reported the Olympia for running an illegal lottery. The case against Mr Turton was dismissed due to lack of evidence and the other two were ordered to pay costs on dismissal of the summonses. By 1912 the ‘rinking’ craze was in firmly in decline and several rinks elsewhere in the country had closed but the Olympia instead looked for ways to diversify. 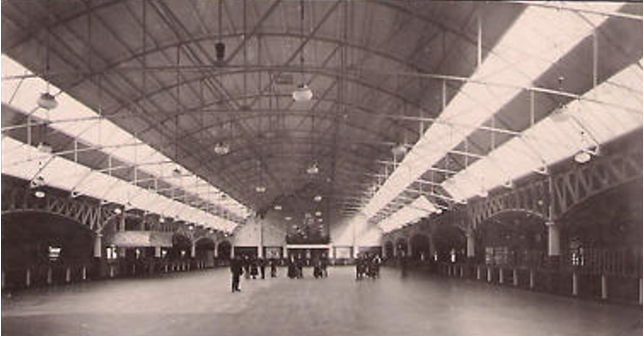 The Leeds industrial exhibition was hosted at Olympia, opening in August 1912 and demonstrating numerous “labour saving devices for household tasks” alongside “exotic imported fashions”. The industrial exhibition featured music from a number of military bands; H.M. First Lifeguards, H.M. Second Lifeguards, H.M. Scots Guards, H.M. Irish Guards and H.M. Royal Marine Artilery. In 1913 it was reported that Olympia would host the Church Missionary Society ‘Missionary Exhibition’ a huge Wesleyan / Methodist exhibition on all aspects of life in ‘Africa and the East’, the scale of this exhibition was huge with 2000 stewards and many more attendees. 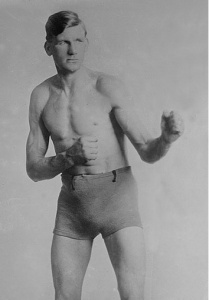 Around 1913 the Olympia started to host boxing with several well attended bouts taking place. In 1914 an exhibition bout featuring the popular American world heavyweight champion Edward ‘Gunboat’ Smith fighting South African champion Harry Smith took place in June featuring several other famous fighters on the bill. It seems that attempts to find other uses for the large and costly space couldn’t do enough to salvage the fortunes of the Olympia. Skating still took place but was by now a fairly unpopular sport leading to opening hours being reduced to a single session from 7:30 PM daily and 2:30 PM on Saturdays. Shortly after the first world war broke out Blackburn Aircraft were ramping up production and moved into premesis on Roundhay Road recently vacated by a skating rink that had only been in existance for a handful of years! Although Blackburn added several more buildings to the site they kept the building that had housed the rink with it’s sign outside reading “OLYMPIA” and it was by this distinctive name that the aircraft factory came to be known!